Well all of these beliefs are basically half truths. Kit homes are an efficient way to build, but did you know that builders receive materials in practically the same way that a kit is received? So don't be distracted by claims from builders who advertise using kits: they all do. There are many misconceptions that I hope to address, without being too negative!! My object is to frame kit building cost in a practical light. Knowledge is power, right? Let's clear this up first. A kit home arrives in pre-cut or made bits. Frames, roofing, cladding, linings, doors, windows etc. It takes 4 to 6 weeks to be prepared at a kit home factory. 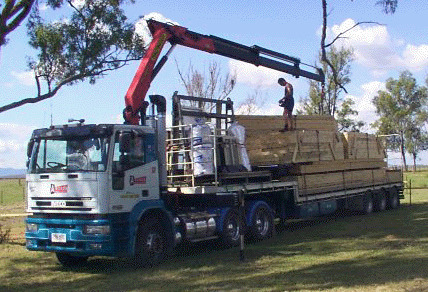 It is then shipped in 3 or 4 loads to the site, ready to build. On the other hand a pre-fab / modular home is completely built off site, and gets transported, sometimes in a few modules, at once. The provider usually connects it together on site as well. A pre-fab home will take much longer to build in the factory, but no time to set up on site, and is at least twice as expensive (per square metre) as a delivered (but unbuilt) kit home. 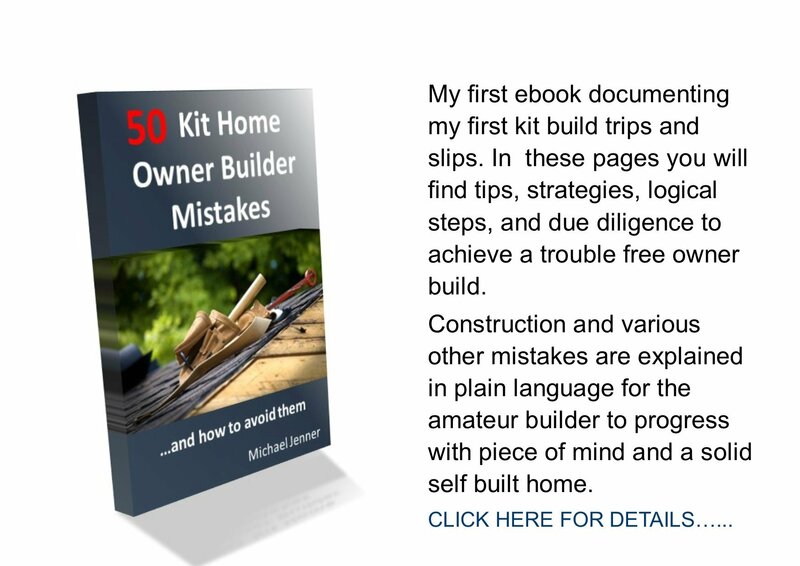 All kit home providers have extensive web sites outlining their advertised kits. Plans, graphics, inclusions and prices can be found on most. There has to be a listed basic price and you can bet it will be for a very basic kit. If you have a price point, say $80,000, you need to look at kits priced at least 10% less. Why? Let's start with the windows. Most are too small to be useful, and you may need thicker glass if you live in a bushfire zone. How about the bathrooms: maybe a second one or at least a second toilet. If you want a raised floor, rather than a slab it will cost 10-15k. How about raised ceilings, or a carport? A change to the layout will add a $500 fee, and if you do specify a slab there will be engineering plans to purchase. 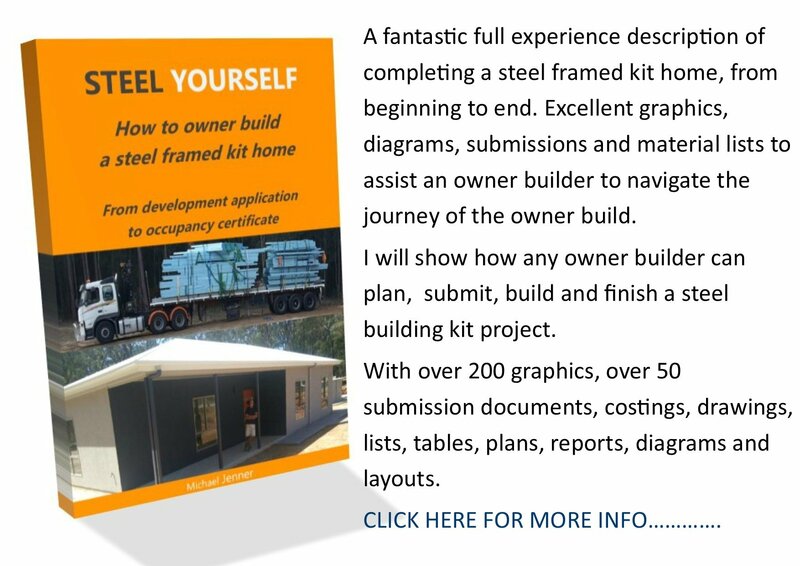 The final cost of the kit home has little relationship to the cost of establishing a home. In fact in my experience, the kits I have bought were 1/4 of the total expenditure. This firstly depends on the cost of your land and the cost of the chosen kit: both can be very expensive depending on your needs. But if an average regional block of land is chosen and an average 3 bed kit is chosen, the kit will indeed be 1/4 the total cost or less. Why? Add council DA approval fees, site preparation, surveying, fencing, soil tests, construction insurance, slab (plus engineering design) or raised floor, tradework (plumbing, electrical, waterproofing, plastering, roofing) water tank and pump, kitchen, PC items (vanities, toilets, shower glass, dishwasher, stove, exhaust fan, lights, fans, A/C, wood heater, hot water) solar, flooring, landscaping, pathways, garages, driveways and paint. That list is longer if you chose not to take part in any labour, eg, frame erection, door hanging, architraves and skirts and painting. Are you getting the '1/4 idea' now! An age old argument here...Building company vs Builder vs Owner builder. A building company has a business to run, employees to pay, shop fronts to rent, building teams, warranty etc, and will add a hefty premium on their built product: up to 60%. A builder will charge for sub contracting tradesman, materials, general labour, warranty etc, and will charge up to 40% more. There will be a loss of income while owner building a home. This needs serious thought in the case of a full time build. The time it takes to complete the project may be up to 6 months or more. Consider how you can get time off or perhaps needing to resign, and the wages that could be earnt/lost while building. Personally, I always chose to get a construction loan with $30k leeway to cover living costs during the build. When it all added up, the real cost was an even race between owner building and going through a building company, even with lost wages. And I had the adventure of building my own home. Click the Owner Builder Nav Button on the top Nav Bar for more OB help.